For the past few weeks I've been optimizing my account at Society6. Society6 is a platform for artists and graphic designers to enter the market place with a range of products that go hand in hand with their creative artworks. In this post I will give you some tips and tricks for presenting your work in a format that suits their product line and how to make best use of their system. Society6 (AKA: S6) is a great place to start for those with a passion for graphic design and art in general. It offers a product range that can be customized by the individual and sold on from their personal web-store. S6 requires verification and registration; one must first set-up a PayPal account and register with the company online. Once registered and verified, it's time to upload your artwork and populate your online store with a range of custom designed products. Currently, the products on offer are not vast in number, nevertheless, a great place to start for those wishing to get a taste of life as a retail designer. Before you get started it's imperative that you understand a little more about the S6 requirements in regards to artwork submissions. The team at S6 prides its self on producing high quality products from your artwork. And to do this they require you to submit only your best high resolution work for sale. So, before you start uploading your latest batch of iPhone images, be warned, the minimum requirement for product printing, such as, Tote Bags and Pillows is 3500px x 3500px at 300dpi, which is well beyond a standard iPhone image resolution. Once you have a product line for sale you will inevitably need to generate sales. S6 has a number of affiliate and partnership programs, but, their system is geared towards you generating the initial sales. Be aware that S6, like any given online system, provides users with a number of exploits, those that allow others to generate income from your sales. This is both positive and negative, however, in the end it might help by driving sales back to you, and that's what you're looking for. Sales profits on Society6 are based on small profit margins for the artist - around 15-25%. Remember, your banking on the numbers of items sold, rather than that one big sale. It's also important that you price your items in such a way that helps you gain favor with buyers. So, set your prices accordingly. One should set your items retail price to a round number, such as $20.00, not $19.99. Over all, I found the S6 online system a little counterintuitive at first. Nevertheless, it is a good platform for artists to generate sales from their artwork. And, another platform that offers exposure to your creations. Personally, I would need to generate over $200 a month to see any great profit in S6. This is due in most part to bank account transfer charges, etc. So, selling one or two items per week is not going to see me driving that nice new Porsche any time soon. If you have any questions please feel free to contact me. 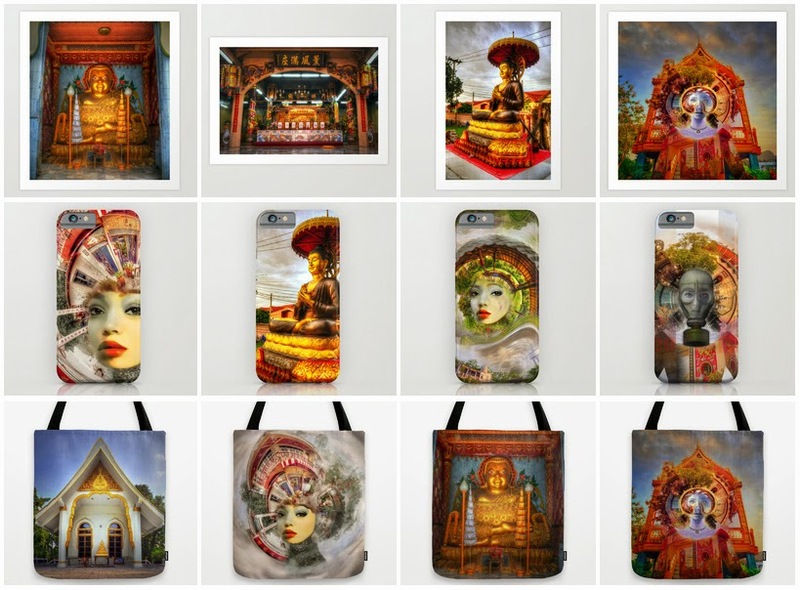 In the meantime, I would love you to visit my online store at: Urbex :: Siam | Society6 - feel free to shop till you drop!